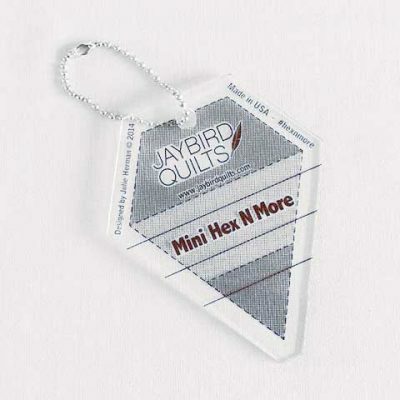 The Mini Hex N More ruler by Jaybird Quilts comes on a key chain and is oh so cute. 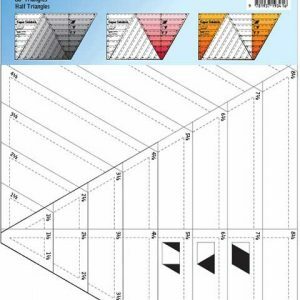 Don’t let its small size fool you. 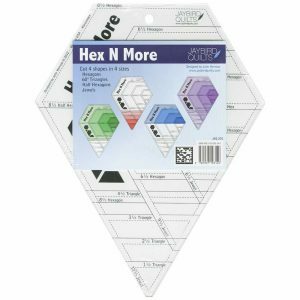 It may only be 3.5″ tall and just under 3″ wide but remove the keychain and you can use it to cut Hexagons, Half Hexagons, Jewels and Triangles. 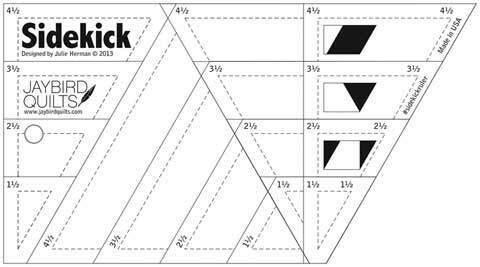 It is very easy to use and all shapes are cut from strips with your rotary cutter. This ruler works with many of the Jaybird Quilts mini patterns.